Winter seasons are characterized by snow and ice accumulating on the roads and poor visibility due to fog formation. This makes driving during winter a very dangerous affair as drivers are prone to getting into accidents due to the above weather conditions. It is therefore important to try avoiding driving during winter periods. However, for people living in areas with long winter seasons, driving is inevitable. It is therefore important for such drivers to take extra precautions while on the road. During the winter periods, important pre-driving activities need to be carried out. Headlights need to be checked to ascertain their operability. Winter weather comes with reduced visibility. A driver should therefore always drive with the lights on. Headlights improve the visibility of the road ahead while fog lights ensure oncoming drivers see you. This reduces accidents. De-icing your windscreen is a paramount activity before starting your journey. Snow and ice accumulate on the windows during winter. Therefore before getting into your car, get a scraper and a de-icer to clear your windscreen in order to give yourself a clear view while driving. Cars fitted with heat and defrost features can also be used to melt the ice formed on the screen and windows. This is simply done by pressing a defrost button after the car has been started. The condition of your car's tires is one of the most important factors to consider before going winter driving. Installing winter tires on your car provides the best outcome. Winter tyres have high grip capabilities with the road during acceleration, braking and turning. This means a driver experiences less skidding that occurs as a result of the road being slippery due to accumulated snow. Less skidding translates to improved stability and fewer accidents. Alternatively one can use normal tyres provided they have threads of about 3mm. Goods tyres reduce sliding incidents thus ensuring the driver can control the car with ease when winter driving. Driving slowly can feel annoying to most people, but on icy or snowy roads drivers have no option. Slow speed will give a driver ample time to react and remedy any problem that may arise. 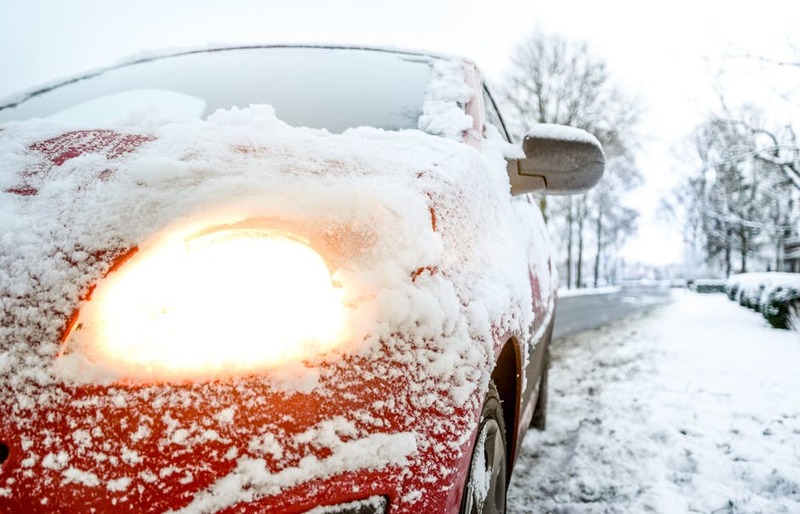 It is obvious that if a car starts skidding, it is easier to bring it back under control when driving at low speeds as compared to high speeds. Maintaining constant speeds during winter driving is another important point. Sudden acceleration or braking cause the car to start sliding especially on icy hilly roads. This can in turn lead to a car losing its stability and crushing. An additional feature called ‘snow mode’ is being fitted in new cars, especially cars destined for winter prone countries. The snow modes enable the car make calculations autonomously and maneuver in the best possible way through an icy road. If your car is fitted with the feature use it and quit stressing yourself out trying to maneuver manually. In addition, some vehicles have been fitted with Electronic Stability Controls Systems. The system uses sensors to regain a car's stability automatically when on a slippery road. For drivers with such cars, avoid counter steering in the opposite direction when the car is trying to regain its stability. Manual cars are better suited for winter driving. Driving in low gears improves the car traction since acceleration is impossible when the car starts skidding in low gears. This prevents further skidding. Pulling off on a high gear prevents the wheel from skidding. Using the right gears are give a car better stability on icy roads. Drivers should also avoid the use of cruise control on icy roads during winter. This is because the car can lose traction without the driver noticing giving them less room to react and try to destabilize the car. Driving during the winter can be very dangerous. It is, however, possible to drive safely on icy and snowy roads by following the tips mentioned above. Drivers should also always remember to keep a safe distance. A space covering approximately the length of three vehicles ensures the driver has enough room to maneuver in an emergency. Following these tips will surely ensure you get a safe winter driving experience and get to enjoy your blended drink with your family.